The physical changes you go through during pregnancy can affect nearly every part of your body—including your mouth. 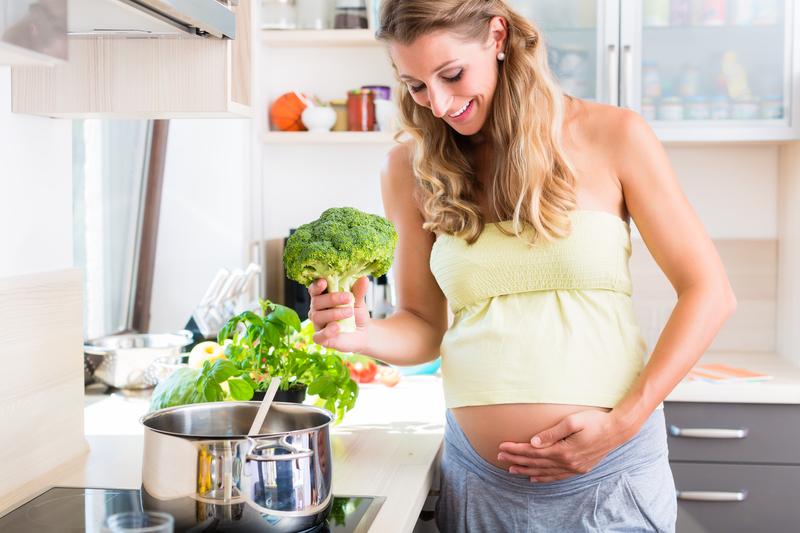 While your focus may be on your growing belly, it’s also important to consider how the prenatal process may change the health of your mouth. To ensure you keep your smile healthy through every trimester, here are five important dental care tips to practice if you’re expecting. Due to hormonal changes that increase gum inflammation, nearly 40% of pregnant women are estimated to have pregnancy gingivitis. When left untreated, gingivitis can advance into periodontal disease—an infection that can cause tooth loss, receding gum tissue, and the spread bacteria elsewhere in the body. To prevent oral bacteria from causing this issue, it’s important to brush twice a day, as well as floss frequently—especially after meals. While your schedule may be packed with obstetrician appointments, it’s important not to put your dental appointments on the back burner. Keeping up with routine bi-annual dental care will ensure that harmful plaque and tartar are properly cleaned from teeth and gums. These visits also allow dentists to catch and treat oral health issues early on, before they turn into more serious problems. Adjust your diet to include more calcium—especially if your obstetrician reveals that you have a calcium deficiency due to pregnancy. Found in dairy, dark leafy greens, veggies, nuts, and many other nutritious foods, this mineral helps build stronger teeth to minimize your risk of cavities. When morning sickness causes you to vomit, your teeth will become coated in stomach acids that can wear away enamel. To reduce the risk of cavities, always rinse your mouth out with water after getting sick. Wait 30 minutes before brushing, as doing so too quickly may worsen the acidic activity. When you’re expecting, James Julien, DDS, can help you protect your smile at every stage of pregnancy. Providing dental care for patients of all ages in Kenai, AK, Dr. Julien offers gentle oral exams and cleanings that can help you avoid common oral health issues during pregnancy—including tooth decay and gingivitis. If necessary, this family dentist can also guide you through treatment and help you explore options that are safe for both you and your baby. To learn more about these services, visit this dental practice online. If you’d like to schedule a stress-free consultation, call a friendly team member at (907) 283-4857.